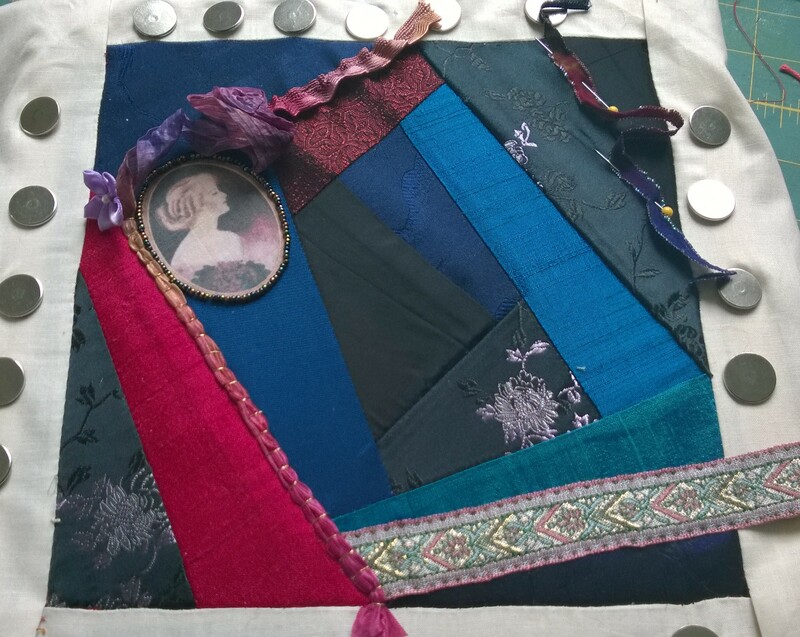 Technology is being challenge currently so I’m going to share the progress of my crazy quilt square here. I’ve secured the cigarette silk image and have given it a beaded border.I transferred the piece to a Evertite system.So far I prefer the hoop but I’ll keep going and see how things develop when I start hand stitching. I’ve done some couching with gold thread using marked tape.A technique I would highly recommend for random people like me.I have know idea just how detailed stitching was done in a uniform manner in poor lighting conditions.Crazy quilting is a real learning experience. This entry was posted in Journal on June 19, 2015 by debbie. 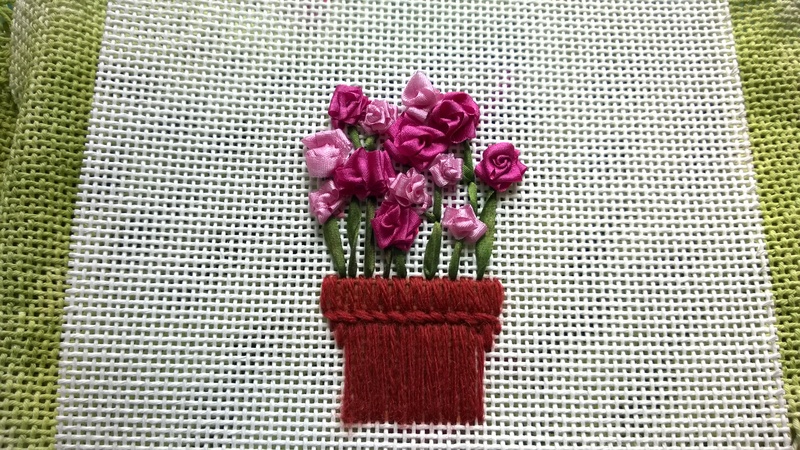 The first stitch we engaged last night was a review of the french knot-my Nemesis.So today I’m just going to head into the studio and do some good old fashion practice. I did better at the more complex stitches so once I’ve contained all fabric and ribbon to the studio the hand work will begin. Well it didn’t go too well -my poor technique resulted in one perfect rose and a bunch of unique creations. I’ve painted up some waste canvas so I can try out techniques in alpine flowers which will probably end up as bookmarks-they’ll hopefully be too dimensional for postcards. This entry was posted in Journal on June 12, 2015 by debbie.